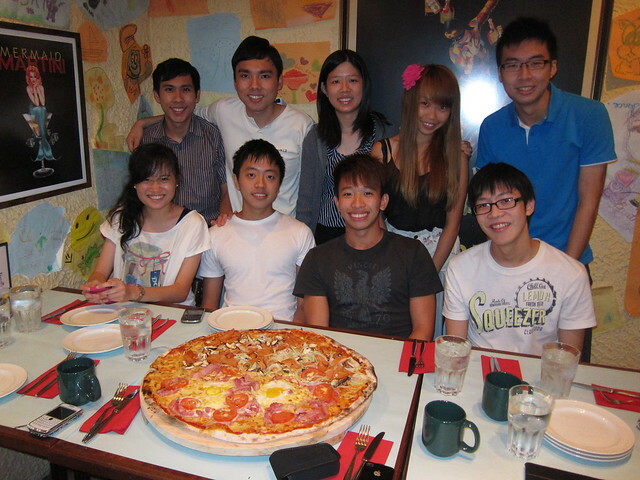 Pepperoni Pizzeria is the perfect place to go with a big group of friends, HUNGRY friends. 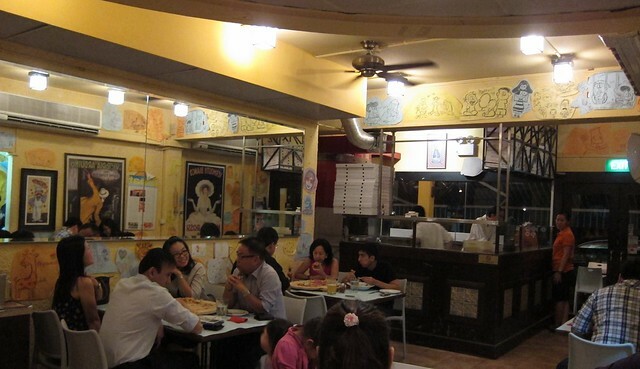 Famous for its family-sized pizza, this faithful evening, my lifegroup and I decided that we just had to give Pepperoni a try, we visited the branch at Greenwood Avenue, secluded in a private estate. I soon came to realise that, at a place for the rich and posh, there'r actually decent fare around too. 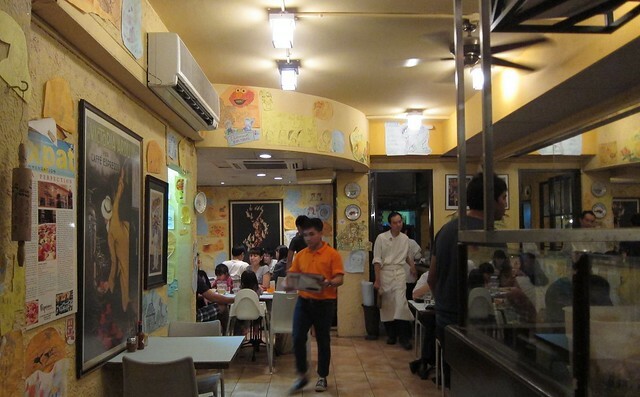 Established in 2004, Peperoni Pizzeria is part of the award-winning Les Amis Group. Peperoni in Italian means bell peppers, a reflection of our culinary heritage and our promise to deliver a quality Italian experience each and every time. 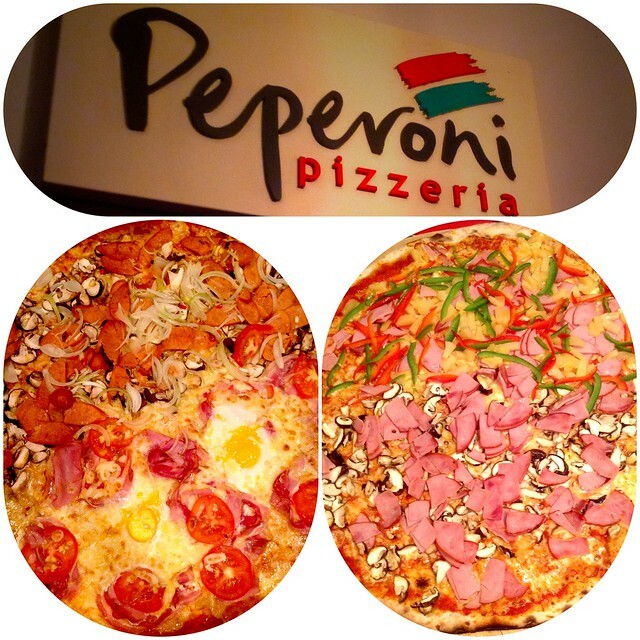 As a testament to our culinary excellence, Peperoni has grown today to four outlets across the island. 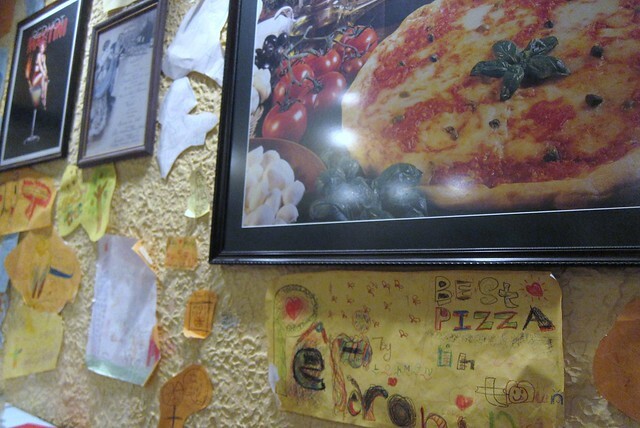 Our passion for hearty Italian cuisine and prompt friendly service, speaks for Peperoni. 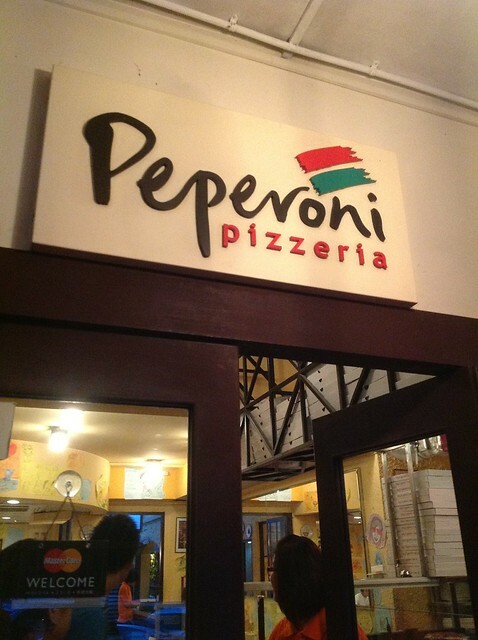 Peperoni Pizzeria, gave me a warm family restaurant feeling. 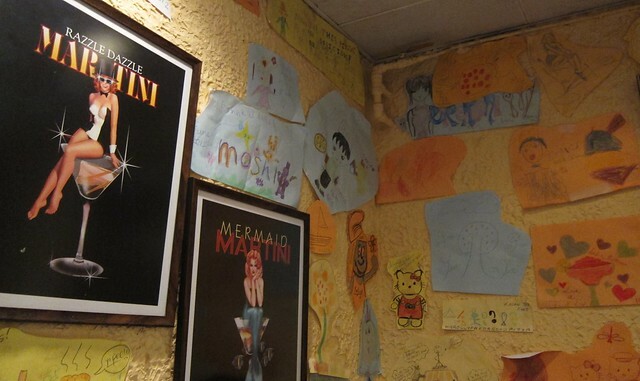 Could probably be due to the kids drawings on its pale yellow walls. 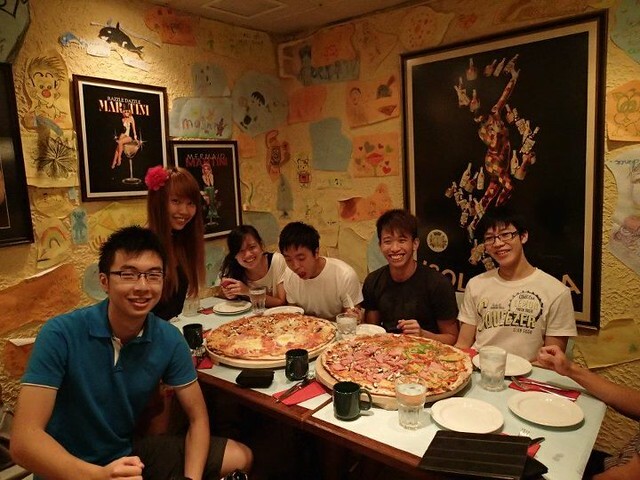 NoOne ever comes to Pepperoni Pizza without ordering their famous family-sized XXL Pizza! Let's just be honest. 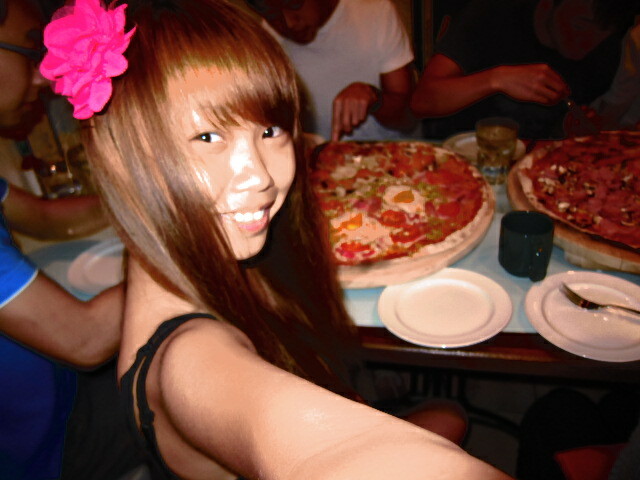 We decided to dine here really because of its hugeass pizza they serve. So, we already knew we were gonna order that, just a matter of HOW MANY! 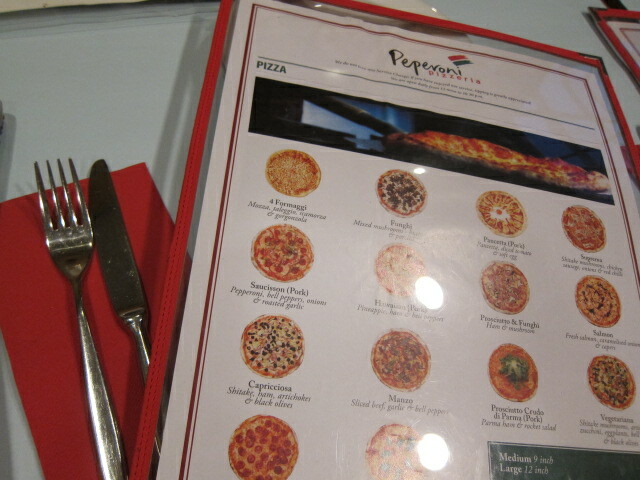 By the way, I love that their menu (below) includes pictures of the pizza flavours, like I always say seeing is believing. I had expected it to be amazingly huge BUT when it was served to my table, I got a mild shock still. Had to stare at it blankly and process my mind thoughts before deciding step1: take pictures of and with it first! 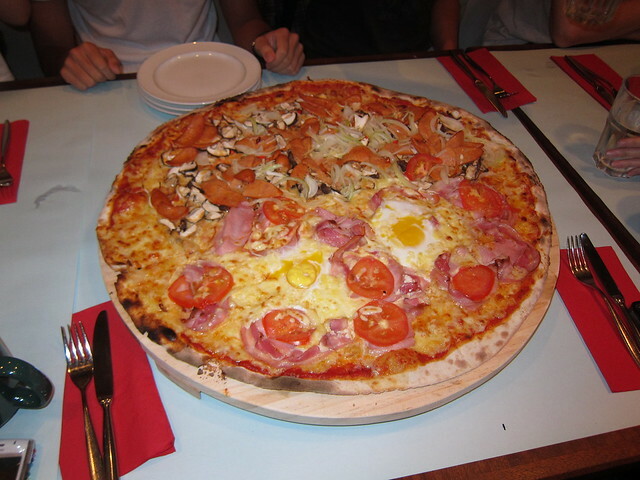 Approximately 21 inches in diameter, its almost the same size as 1 wooden table! We didn't even have enough space to put empty plates on the table properly! 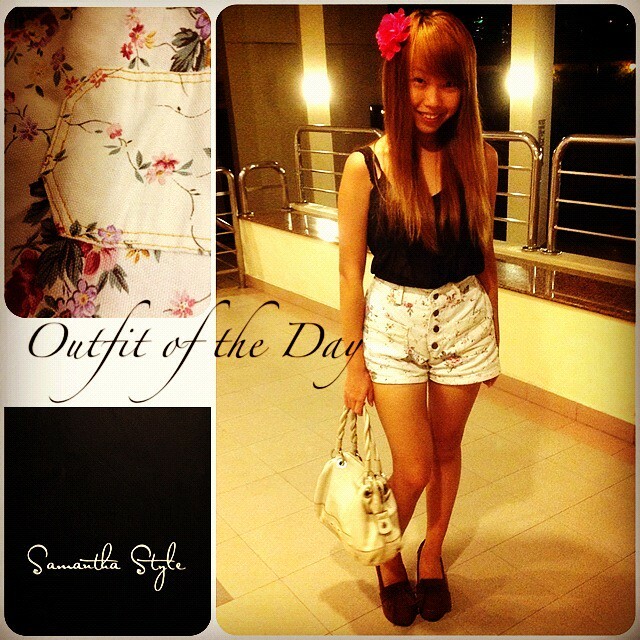 For S$50, it's totally worth it! 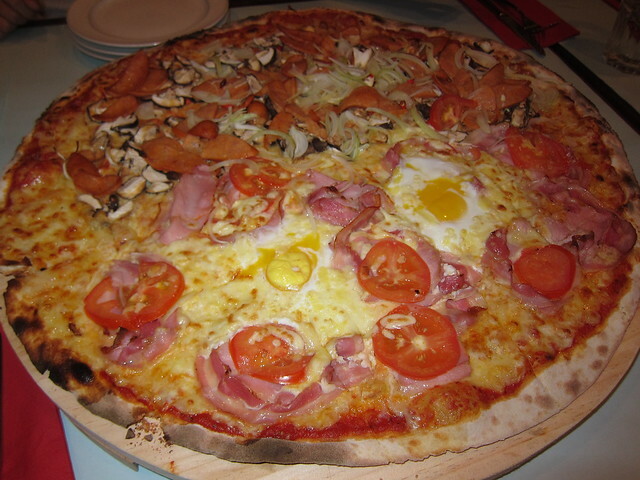 I love THIN CRUST pizzas and Pepperoni's ones were like that. It totally made my day! 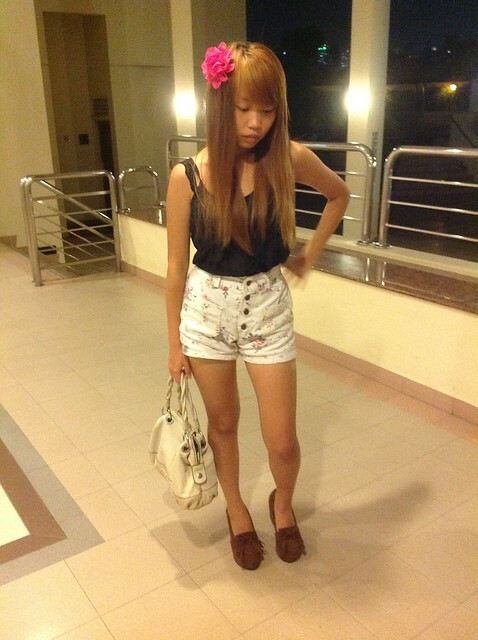 This shall be my alternative to TIMBRE's. Its crust was up to my standard - Very thin, crispy and a wonderful mouthful! I don't know how many pizza slices I ate in total. There were just so many slices within 1 XXL pizza, so much so I wanted to eat them all up quickly... because they were all right infront of me! 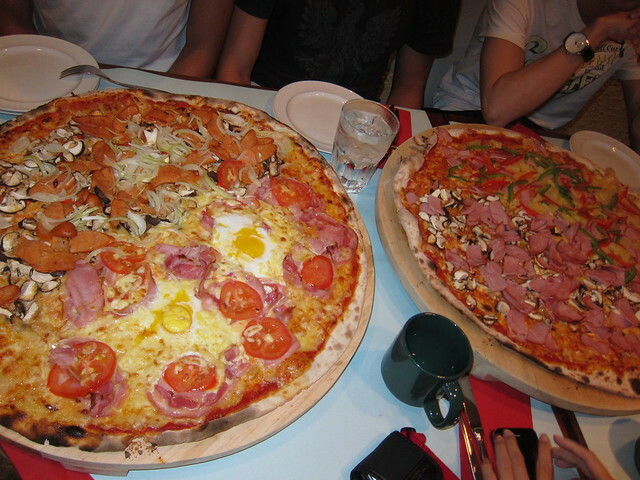 Somehow, clearing those pizzas gave me a sense of satisfaction that night. I loved this double mixture! 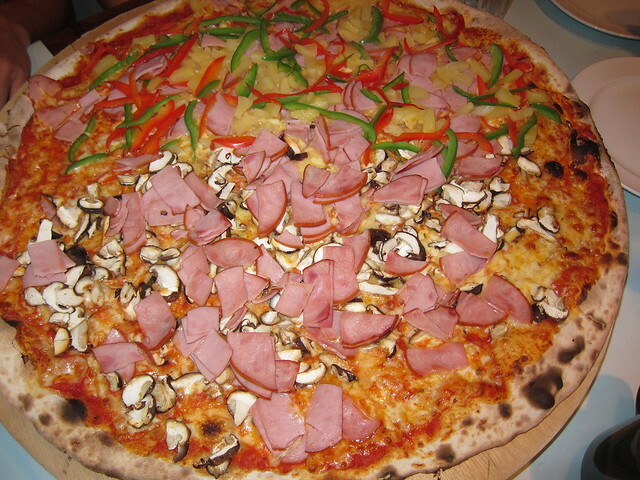 Was munching the mushrooms from Prosciutto & Funghi and pineapples from Hawaiian away happily. Prosciutto & Funghi flavour is basically made up of ham and mushrooms. The parma ham was not overcooked and tasted fresh! YumYumz! My personal favourite! The Hawaiian flavour was personally disappointing, just because it has lots of capsicums in it :( I mean, hawaiian pizzas normally don't come with them right! Nevertheless, the pineapples were really fresh and crunchy. Wish there were more of them! Pancetta (Pork) | SupremaSuprema Flavour - Shitake Mushrooms and Onions were perfect combinations. It was heavenly awesome, however, the chicken sausages were a little too salty for my tastebuds. As for the Pancetta flavour consisting of cured bacon, sliced tomatoes and soft eggs, I only loved the parts with the cracked soft eggs. Super Duper Shiok! Unique, I would say... Other than that, it wouldn't be my best amongst all others. 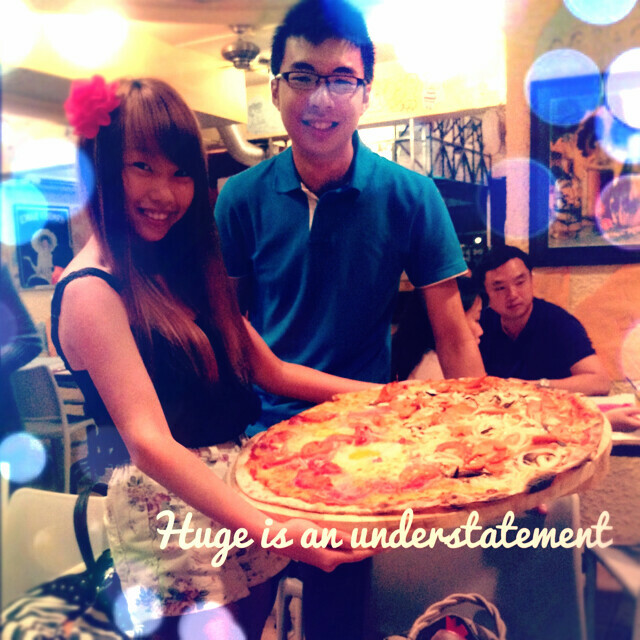 The ultimate XXL pizzas served here are definitely Pepperoni Pizzeria's selling point. Being the highlight of the diners' meal, one had better come with a big appetite, if not, come with a big group of friends. This is a must-try, must-go place For the XXL Experience! For the taste! For reasonably priced delicious pizzas! For your friends and yourself! So now, if you'r thinking of other pizza joints rather than the typical pizzahut or canadian pizza or domino's, you can try Pepperoni's! Definitely worth the visit.